You are here: Home » Blogging » Will Hygge Sell Your Loft? Will Hygge Sell Your Loft? 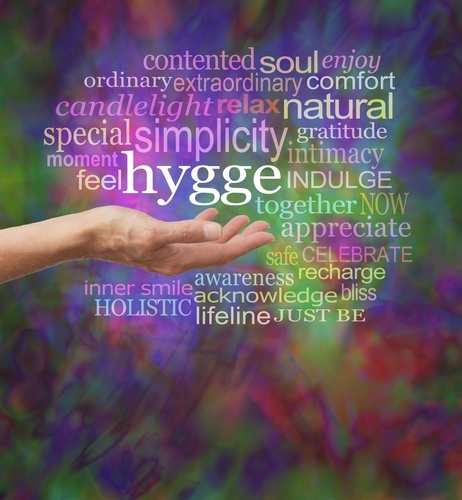 Have you heard about hygge? It’s the Danish concept of creating warmth and enjoying everyday life, and it’s been a huge trend in Loft design this year. It’s especially popular during the cold, winter months where a little extra coziness is in order. In fact, incorporating a little hygge into your Loft could be just the thing you need to help sell it this winter. Here are our favorite ways to bring this Scandinavian tradition into your space. The first place that potential buyers will feel a sense of hygge is at your front door, so amp up that warm and welcoming feeling. Be sure the sidewalk and front porch are clean and free of snow or debris. Even though winter brings darkness, you can still highlight your Loft’s exterior features with some soft outdoor lighting. Keep the lights in the Loft on so a warm glow emanates outside and beckons people in. Let the season work for you instead of against you by embracing it. Bring some seasonal sights and smells inside. This can include cinnamon-scented candles or simple arrangements made from holly and evergreen. When decorating, use hues that mimic the feeling of the season, including warm reds, earthy greens and rustic browns. We know that energy bills can get expensive during colder months, but now isn’t the time to skimp. Make sure your thermostat is set to a comfortable level, keeping in mind that your front door may be opening and closing several times. Check that the heating vents in every room are open so they are all warm. A great way to create a sense of hygge in your Loft is with lighting. You want your Loft to be well lit without being harsh. Turn off overhead lights and opt instead for floor and table lamps. Take advantage of those dimmer switches to create a warm ambience. Scatter some battery-operated candles throughout your Loft. We all know that candlelight makes everything look so much nicer. Create a space that makes buyers want to linger. You want them to be able to imagine snuggling up on the couch on a cold winter’s day. Drape soft blankets on couches and add comfortable cushions and pillows to chairs. Use textures like wool, velvet, chenille, and even faux fur. Isn’t it nice to sip on a cup of tea or hot chocolate on a cold day? Think about keeping a pot of mulled cider simmering on the stove. It tastes and smells delicious. Set out a plate of warm cookies or even roasted chestnuts. Choose snacks and drinks that feel like a special treat. Lastly, don’t forget to add warm sounds to your Loft. If you have a wood-burning fireplace, there’s nothing like the sound of a crackling fire. Play soft acoustic music in the background – a little jazz or classical music can make people feel relaxed and right at Loft.